These bats are signed and are in stock. 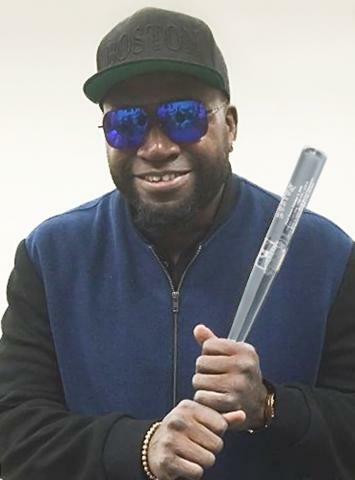 Big Time Bats is proud to release this exclusive 18” Mini Translucent Bat in honor of the distinguished career of David Ortiz. This Half Scale Bat highlights the many prominent milestones achieved by "Big Papi," including his final game date, final career stats, career awards and honors, and his official final season logo. Ortiz is a Major League Baseball legend, having played a key role in reversing “the curse” in Boston helping the Red Sox in a World Series in 2003, and two additional titles with the team. His playoff heroics are well documented, being named the World Series MVP in 2013. Ortiz is also a 10x All-Star, 6x Silver Slugger, and will end his career as the best DH in history. This very limited mini bat that honor a Red Sox legend is sure to sell fast. Get yours before they sell out! Due to the limited nature of this offer we must charge your credit card for the full amount immediately upon taking your order. This policy ensures we reserve a set for you. We will confirm your order by Email. 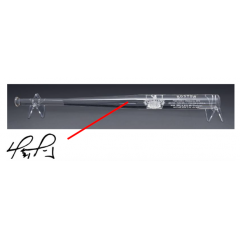 This acrylic translucent bat may shatter like glass if dropped.